The 2010 11th Hainan Carnival will be held from 28th December 2010 to 1st January 2011 in Fushan Town, Chengmai County, Hainan Province. With the theme of “Let’s get the world exciting”, the 11th Hainan Carnival will include various activities, and several well-known pop stars will be invited to give performance for the fun festival, including Fan Binbin, Richie Jen, Andy Hui, and Li Binbin. 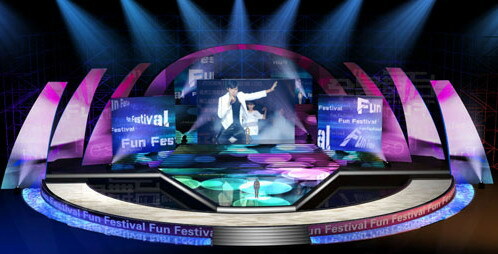 With the theme of “Welcome the new year on International tourist island”, the “2010-2011 New Year Countdown Ceremony” will have large-scale performance arts and exotic performances. There are also inactive activities at the ceremony that the audiences can interactive with the pop stars, and have chances to take the lucky prizes home. As the main venue of the 11th Hainan Carnival, Chengmai County is known as “County of Coffee”, and known to the world for its Fushan Coffee. Apart from the two major events, there will be other supported activities at 11th Hainan Carnival: coffee tree planting, coffee garden series events, and 2010 Hainan (Fushan) Coffee Forum. There will also be other supported activities in other 5 venues in Haikou, Sanya, Qionghai, Danzhou and Wuzhi Mountain.